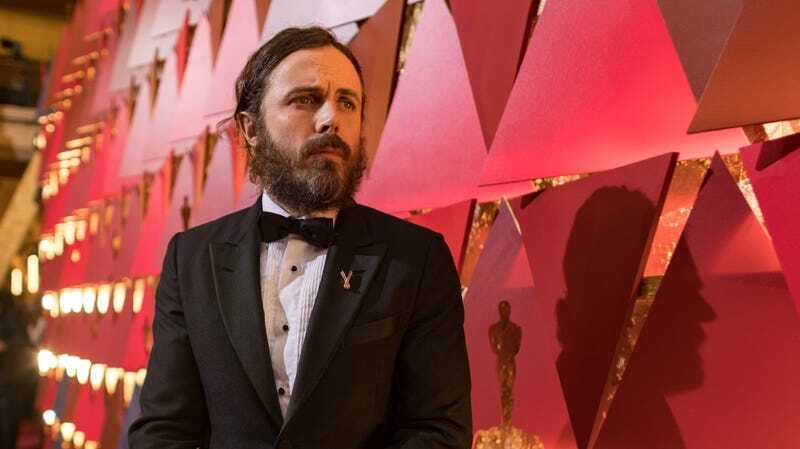 Casey Affleck has now apologized for the “unprofessional” atmosphere on the set of his directorial debut, I’m Still Here, which led to two women on the film’s crew suing him over sexual harassment complaints. The complaints in question—which included allegations that Affleck harassed women on set, encouraged other men on the production to do the same, and made unwanted sexual advances to members of his crew on the 2010 mockumentary—became part of the public conversation during the actor’s Oscar campaign for Manchester By The Sea back in 2017. That was just a few months before the full #MeToo movement got into swing, and the reactions to Affleck’s alleged behavior have been a complicating aspect of his public persona ever since. Over the past couple of years, I’ve been listening a lot to this conversation, this public conversation, and learned a lot. I kind of moved from a place of being defensive to one of a more mature point of view, trying to find my own culpability. And once I did that I discovered there was a lot to learn. I was a boss. I was one of the producers on the set. This movie was (shot in 2008, 2009) and I was one of the producers. And it was a crazy mockumentary, (a) very unconventional movie. The cast was the crew and the crew was kind of the cast and it was an unprofessional environment and, you know, the buck had to stop with me being one of the producers and I have to accept responsibility for that and that was a mistake. And I contributed to that unprofessional environment and I tolerated that kind of behavior from other people and I wish that I hadn’t. And I regret a lot of that. I really did not know what I was responsible for as the boss. I don’t even know if I thought of myself as the boss. But I behaved in a way and allowed others to behave in a way that was really unprofessional. And I’m sorry. You can watch the full interview—which also includes some light commentary on Affleck’s upcoming film, The Old Man And The Gun—up above, or read a transcript of Bahr’s conversation with the actor here. Casey Affleck withdraws from the Oscars, no reason, why do you ask?